An annotated bibliography is a list of citations followed by brief (no more than 150 words) descriptions and evaluations of each source. If you've never created one before, you'll find good guides at both the Cornell University Library and the Purdue University's OWL site. It's time to get busy doing research. You must create an annotated bibliography for the sources you're planning to use in your policy brief. A bibliography is a list of the sources you've used to research a topic. An annotation is a summary and/or evaluation. So, an annotated bibliography is a list of sources with a brief summary and/or evaluation of each source. For this assignment, you must provide bibliographical citations and annotations for at least five sources. At least two of these must be peer-reviewed academic sources (i.e. articles drawn from academic journals or books published by university presses). You have access to a vast number of excellent sources through the Santa Fe College Library. Check out the library's databases. I particularly recommend EBSCO Academic Search Complete, which will give you access to huge numbers of news articles, and JSTOR, which gives you access to a vast number of academic journals. If you're accessing these resources off-campus, you'll need to sign in using eSantaFe remote access. If you have any difficulties navigating the library's resources, let me know, and I'll do my best to walk you through it. You may also use reputable journalistic sources, such as the Wall Street Journal, New York Times, or Tampa Bay Times, so long as you stay away from the op-ed pages. Government websites may also be useful to you. Wikipedia is a fine place to begin your research, but it's not a good place to stop your research. If you use Wikipedia, use it to find other sources. Do not include it in your bibliography. Be wary of highly opinionated websites and sources. Occasionally, you might find something interesting and actually true on a site like Slate, Salon, Brietbart, Buzzfeed, or HuffPo, but you're just as likely to find misinformation, or highly skewed analysis of the facts, at places like these. Beware, too, of articles produced by "think tanks" like the Heritage Foundation, the Cato Foundation, Brookings, and others. These are sometimes useful, but subject to the same biases as the aforementioned websites. Lastly, I will not accept anything drawn from a tin-hat conspiracy site as a source. I am mostly agnostic as far as citation style is concerned. I prefer APSA, but you are welcome to use MLA, APA, or Chicago Style. My only requirement is that you pick one of the generally used formats and stick with it. 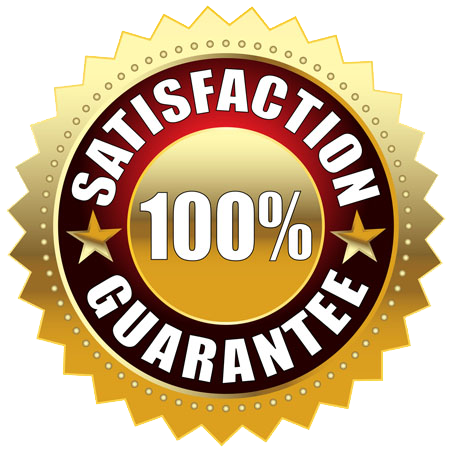 As long as your citations are based on one of the generally accepted formats, and are consistent and thorough, I'll be satisfied. Hacker, Jacob S. and Paul Pierson. 2010. "Winner-Take-All Politics: Public Policy, Political Organization, and the Precipitous Rise of Top Incomes in the United States." Politics and Society. Vol 38(2). 152-204. Hacker and Pierson argue that the rise of economic inequality in the United States must be understood from the perspective of political economy, a perspective that examines the interconnections between modern capitalism and modern electoral democracy. American politics is driven by competition between organized groups, and for the last several decades, the number and power of business groups has increased, while the number and power of groups representing middle class interests, such as labor unions, has declined significantly. "The art for policymakers," per the authors, "is not to respond to the median voter; it is to minimize the trade-offs when the desires of powerful groups and the desires of voters collide," (173). The declining power of organized groups representing the economic interests of middle class Americans, then, explains a great deal of the increasing economic inequality in America and the hollowing out of its middle class. By enacting favorable tax and regulatory policies, and by forcing drift (i.e. preventing policies from being updated over time in such a way as to defeat the original purpose of the policy) in those policies, organized groups representing the interests of the wealthy use government in a way that undermines the majoritarian principles of modern democracy. Lastly, please note that the purpose of this assignment is to get you started on your research and to give me a chance to intervene if you're going down the wrong track. If your bibliography changes between the submission of your annotated bibliography and your final paper, that's fine.